Last week, the talented Chelsea teenager, Callum Hudson-Odoi, was called up to the England U21 squad, for the first time in his career. Today, things just got a whole lot better for the 18-year-old. Whilst training with the U21 squad, Hudson-Odoi was taken to one side by the U21 boss, Aidy Boothroyd, to be told he’d been called up for the full England squad. “I thought the manager was joking. “I was shocked and then when I heard that I actually had to go over to England’s training base at St George’s Park, I couldn’t believe it. I was delighted. It’s a dream come true for the youngster who has made 19 appearances for Chelsea this season, scoring on 5 occasions. 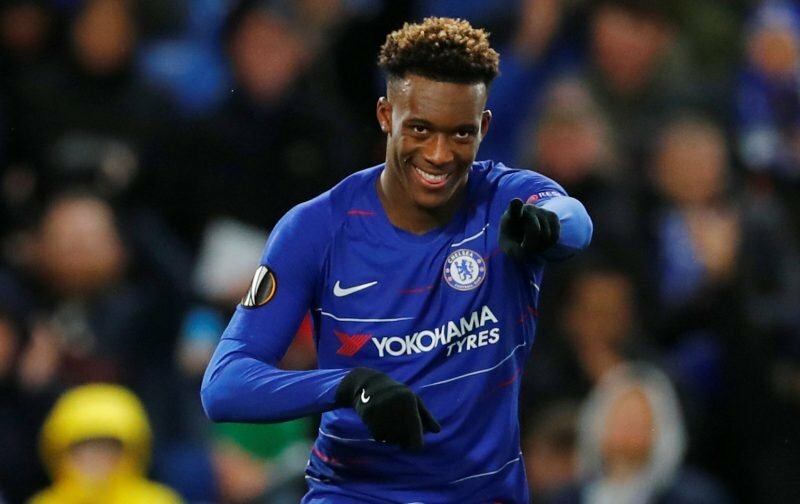 However, Hudson-Odoi, we’d like to point out, has gate-crashed the full England squad without actually making a start for Chelsea in the Premier League. Congratulations young man, now show the world what you can do.